The SiteW Blog block has just been upgraded and improved with the addition of many new features. Entirely customizable in terms of appearance, and much easier to manage, you can now enjoy, more than ever, the possibility to add news to your website and inform and entertain your community. The Blog block now has categories. An article can be assigned to one or more categories. Articles are not only related to one blog, but they are shared across all the Blog blocks of your website. So you can display your articles or article categories wherever you want on your website. You can now customize the appearance of your blogs, from A to Z. How to enable customization for my blogs? Select your Blog block, by clicking it. Choose “Modern” in the dropdown menu in the section “Style of article list”. Click on the “Choose a style” button. Choose between the 5 styles offered. How to customize the style of my blogs? Each preset style offered can be used as a base for customization: number of columns, background, text position, display or hide certain elements, etc. Styles can be applied in just one click. When you have created a customized style for a blog, you can use it for another blog. To do so, you just have to click on the palette that corresponds to the desired created style. How can I customize my Blog blocks? 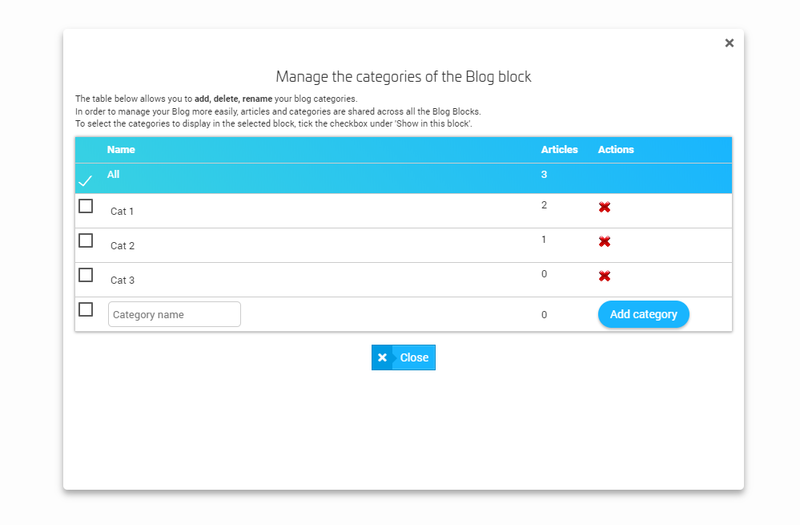 You now have a totally customizable Blog block that you can easily manage. 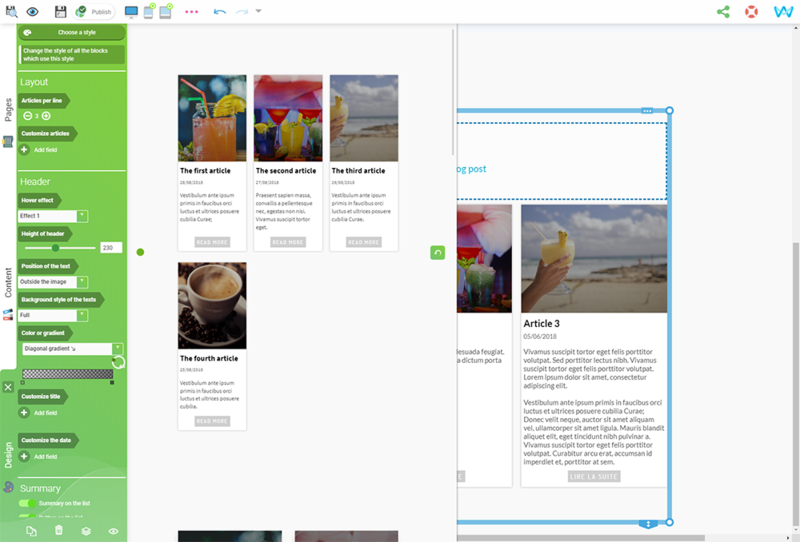 Don’t wait any longer and create your blog or try the new features!